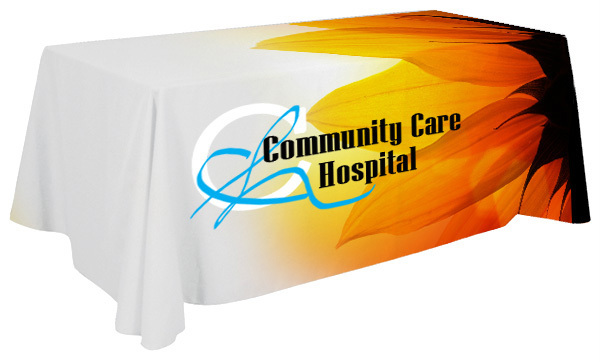 Order Full Color Table Covers Online! You can now order full color table covers online at Banners.com! Table covers are printed on our poplin material using a direct dye sublimation printing process. This means the ink goes through the material instead of sitting on top of the material. This creates an eye popping display. 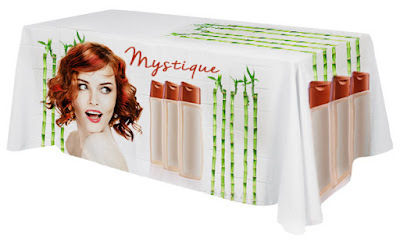 If you'd like more information about our full color table cover and other custom table covers, please visit our website. Due to the complexity of the product, you must work with a graphic designer to get the artwork set up properly.